Requirements: Runs on iOS, Linux, OS X, FreeBSD, Solaris, OpenBSD and other POSIX systems. A C99 compiler is required to build the library. Compatible with and can be included in C++ or Objective-C projects. Modern, Object Oriented API design. Fully documented. The library is licensed under a Free Open Source Software License. Can I use libzdb in my iOS or macOS app? 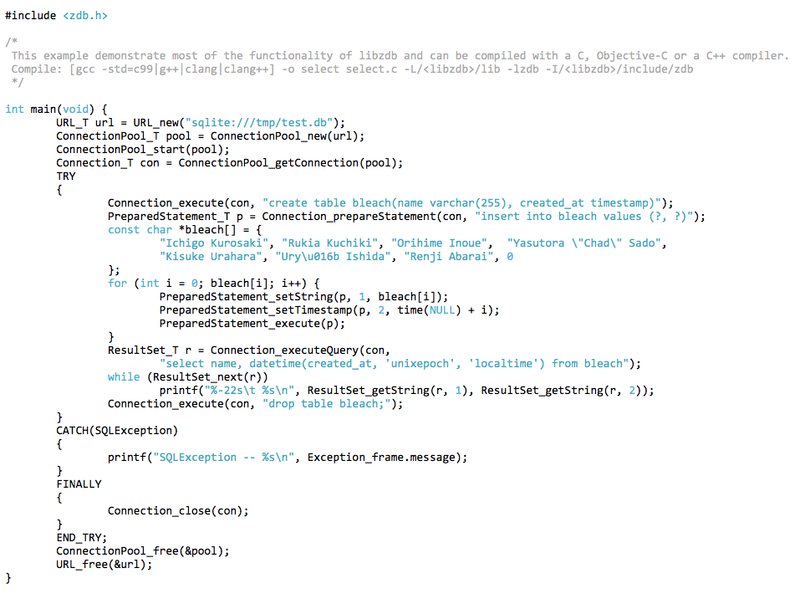 Yes, libzdb can be used from and included in any C, C++ or Objective-C project. The Xcode project file used to develop libzdb is available from the repository and can be included in your own Xcode project. Libzdb is thread-safe and designed to be used in a multi-threaded program. Is the connection pool dynamic? Yes, the pool can be setup to dynamically change the number of Connections in the pool depending on the load. Click the d icon in the footer below to access previous versions of the library. The project is hosted at Bitbucket. Click the r icon in the footer below to visit the repository and browse the code online. Are there plans to support additional database systems? Libzdb currently supports SQLite, MySQL, PostgreSQL and Oracle. At the moment there are no plans to support additional database systems. The property names user and password are always recognized and specify how to login to the database. Other properties depends on the database server in question. User name and password can alternatively be specified in the auth-part of the URL. If port number is omitted, the default port number for the database server is used. See mysql options for all properties that can be set for a mysql connection URL. heap_limit=value [KB] - Make SQLite auto-release unused memory if memory usage goes above the specified value. In this example we have also omitted the port number to the server, in which case the default port number, 5432, for PostgreSQL is used. In addition we have added an extra parameter to the URL, so connection to the server is done over a secure SSL connection. See postgresql options for all properties that can be set for a postgresql connection URL. Instead of a database name, Oracle uses a service name which you typically specify in a tnsnames.ora configuration file. The auth-part of the URL can be used instead to specify the username and the password as in the example below. Here we also specify that we want to connect to Oracle with the SYSDBA role. See oracle options for all properties that can be set for an oracle connection URL. To obtain a connection pool for a MySQL database, the code below can be used. The exact same code can be used for PostgreSQL, SQLite and Oracle, the only change needed is to modify the Connection URL. 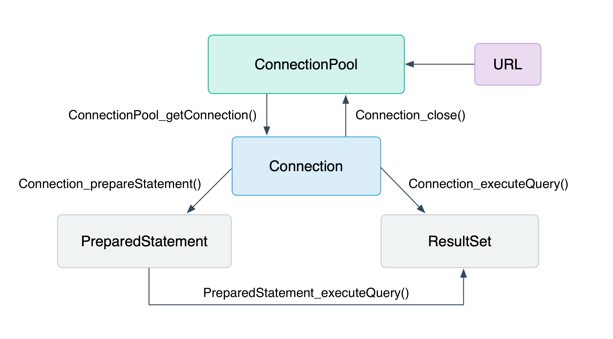 Here we connect to the database test on localhost and start the pool with the default 5 initial connections. "insert into employee (name, hired, image) values(?, ?, ? );"
More examples can be found by clicking the API documentation image above. New: MySQL 8. Added a new URL option auth-plugin which specify the authentication plugin to use when connecting to a MySQL server. New: Oracle: Added a new URL option sysdba for connecting with sysdba privileges. Fixed: Revert previous fix (#8) and remove last SQL terminator character ';' in statements, except if preceded with END; to allow for ending a pl/sql block. New: Methods for retrieving Date, Time, DateTime and TimeStamp column values from a ResultSet. PreparedStatement_setTimestamp for setting Unix timestamp. New: ResultSet_isnull, can be used to explicit test if a column value in a Result Set is SQL null. A Result Set already returns the NULL pointer for string and blob types and 0 for primitive data types if column value is SQL null, but to differ between SQL null and the value NULL or 0, this method can be used. New: It is now a checked runtime error for the url parameter given in ConnectionPool_new to be NULL. New: No longer require flex installed as the generated file is part of the distribution. Fixed: Oracle: OCIPing is used to check Oracle connections and to ensure that the Pool returns connected connections. Thanks to Pavlo Lavrenenko. 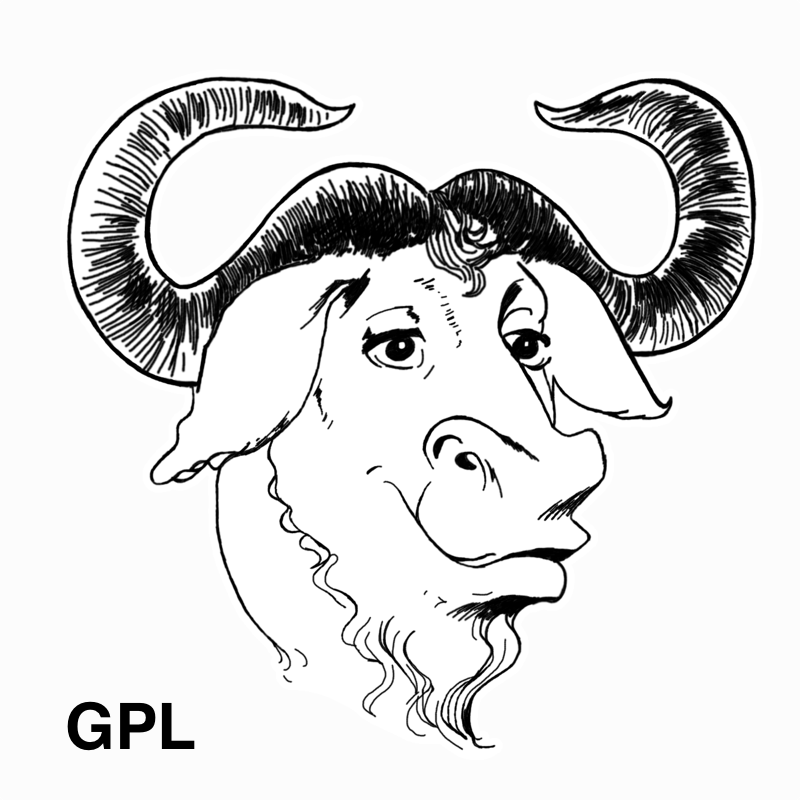 New: License Exception added to allow the library to be linked and distributed together with OpenSSL. New: Throw SQLException if a database access error occurs when ResultSet_next() is called. Previously, access errors could be masked as end of result set. Thanks to JiaQiang Xu. Fixed: (Volodymyr Tarasenko) Possible mem leak in Oracle's blob operation fixed. Fixed: MySQL: A ResultSet bind memory error could occur if string or blob columns of different size caused successive buffer reallocation. Thanks to Ryan Addams for discovering the problem. New: Added support for the new bytea hex encoding format introduced in PostgreSQL 9.0. Fixed: MySQL: A Result Set with two or more columns larger than 256 bytes would cause libzdb to truncate the second column to 256 bytes in the first row. Thanks to Me from China for bug report and patch. Fixed: Improved Build Configuration. Thanks to Johan Bergström for report. New: Libzdb is now compatible with and can be included in C++ or Objective-C(++) projects. Fixed: Oracle: Fixed a problem with ResultSet not returning all data. New: PostgreSQL: Allow sending application name to the server for logging. Thanks to Chris Mayo. See the PostgreSQL URL property, application-name. If you have questions or comments about the software or documentation please subscribe to the libzdb general mailing list and post your questions there. Libzdb is open source. It's hosted, developed, and maintained on Bitbucket. Copyright © 2019 Tildeslash Ltd. All Rights Reserved.